Geographically, Gwadar comprises three parts, headland, isthmus and mainland. The headland is connected to the mainland by a narrow isthmus which is 800 meters in width at the maximum point. The modern Gwadar International Container Terminal is located in the headland. Gwadar International Container Terminal can receive the giant ships and supertankers being built today. Seaport has hinterlands and forelands. Gwadar has extensive hinterland and foreland. The recent hype in trade and shipping dynamic and forecast of a hotting up of trade growth has created very strong regional markets. The Gwadar International Container Terminal would make Pakistan maritime hub for the region linking Middle East, European and Anglo-American markets with China and Central Asian Republics (CARs). 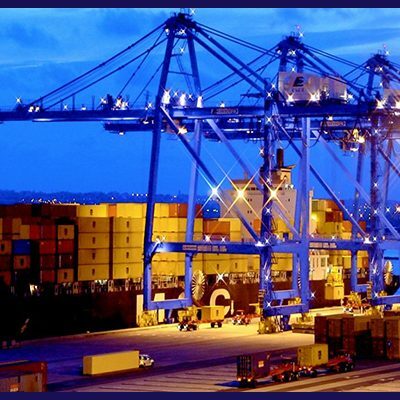 Gwadar International Container Terminal has the potential to attract transit and trans-shipment trade.